My favourite sport and accounting! Probably my favourite (spectator) sport is motor cycle road-racing. There aren’t too many places it still happens – doing 180mph on public roads is not for everyone – but thankfully it still happens here in Ireland, the Isle of Man (IOM) and a few other places. The IOM TT is probably the pinnacle of road-racing – it’s two weeks of fund each June. imagine my delight when I read an article featuring news on the 2016 TT and creative accounting! The article notes the number of TT visitors for 2016 to be similar to 2015 – based on data from the IOM government. The article also suggested a revenue of £738 per visitor for the economy, based on this same data. In the comments beneath the article, the fun starts. “This year’s TT races in June brought a £4.1 million benefit to the island’s exchequer, according to government figures just released.” OK, so that is the claimed revenue, now let’s see the total costs. And by total, I mean the total cost to the island not just the cost of TT preparations. How much for a fatality or serious injury involving medevac? How much for the road closures and effects on businesses as well as the public? These are real costs and the list goes on. I note the total expenditure of £738 pp is not broken down into for example travel costs and monies spent on island. Therefore that figure is meaningless If the figures of £31.3M, £22.5M and £4.1M are based on the £738pp they are also meaningless. Creative accounting it is for sure. In addition, if the government can come up with a figure for the benefit to the island they must be in possession of all costs, such as DOI, medical, policing, helicopters etc. So why do they never produce such figures? 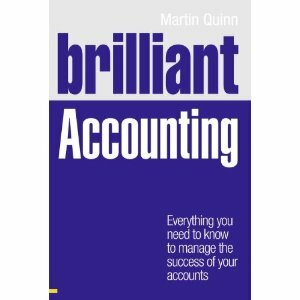 These two sharp commentators highlight many things -the subjective major of accounting, where costs and revenues are attributed, and what are the relevant costs, for example. I’ll be using this example in my teaching at some future point.